Our part-time diploma course is designed for anyone looking to embark on a new career either full time or part time. If you are interested in learning a wonderful healing therapy, want to enhance an existing therapy you may have, wish to improve your self-development, or simply want to be more creative, healthy, positive, vibrant and enthusiastic then our course is for you! 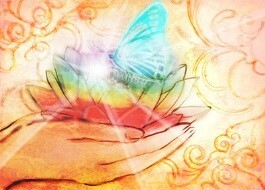 Bio Energy Therapy is a non-evasive holistic complimentary healing therapy. It is safe for everyone to use or experience. Bio Energy Therapy is simple, easy to learn and enjoyable to do. Since no special abilities or background is needed, it is assessable to absolutely every one, of any age and capability. Bio Energy Therapy is based on an ancient Eastern form of healing which taps into the body’s energy system known as the chakra system. There are seven main chakras and each chakra nourishes a particular physical, emotional and spiritual aspect of the person. When the charka system is not working to its optimum, energy in some or all of the chakras can become blocked leading to ill health on a physical or emotional level. Bio Energy Therapy promotes the free flow of energy throughout the body thus allowing your immune system to strengthen. Location River Holistic Centre, Ashbrook House, 10 Main Street, Raheny, Dublin 5. Helen “I highly recommend this course as either a personal learning journey or to take bio energy further as a practicing therapist”. Tony “I work part-time as a psychotherapist and I would hope to offer Bio Energy as an additional service for clients who feel they may benefit from it”.